Johani Bin Rani was very surprised upon seeing his photo on Stomp, because he did not do it expecting something in return. He just enjoys helping people because it fills him with happiness. 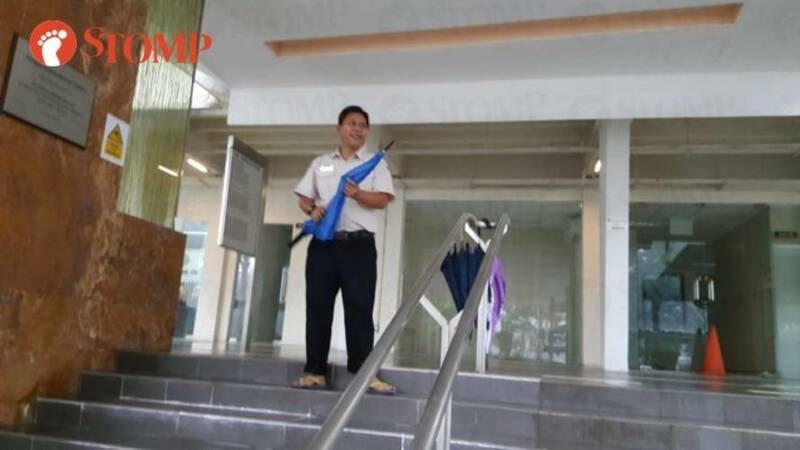 The 49-year-old security officer was featured in an article on Tuesday (Jun 26) for sheltering those who were caught in the rain at Tanglin International Centre. The incident occurred at around 9am on Tuesday. Stomper Wenxin, an employee who passed by the area, said that she finds Mr Johani's gracious act of going the extra mile really admirable. Hence, she provided Stomp with his name and contact details after asking him for it. We then got in touch with him so that we could present him with a Stomp Goody Bag for his heartwarming actions. Mr Johani told Stomp in an interview on Thursday (Jun 28): "I am very surprised because I do not really expect anything in return. I was like, 'Eh! How come my picture's here?'" "I did not know who took my photo, or when they took it. "I did not do it to be recognised, I just feel happy after helping people," said Mr Johani. When asked the reason for helping total strangers, Mr Johani just gave a shrug. "I also don't know why I want to help, I just try to help. "I don't really think about how the person is not related to me, I don't really think about anything, if I am able to help, I will help." Mr Johani has worked for his current company, Dragnet Smartech Security Pte Ltd, for about seven months. According to him, his job scope was only to protect and secure the building, and keep the staff working here safe. However, that did not stop him from going the extra mile. "On a normal day at work, I usually patrol the building and render help to those who ask for it, even those who do not ask for it. "If I see someone struggling, I will just approach them and ask them what happened and offer help." When asked about his past experiences in helping others, Mr Johani recounted: "One time, at my previous workplace, there were some people alighting from a taxi and since I was on duty at the time, I went to help them carry their luggage, without them asking me. "I carried it to their office. They weren't old, they were young, but the luggage was very bulky and heavy so I helped." Mr Johani also added that he has two children back in Batam, Indonesia, with one more on the way. And he tries to instil helpfulness into them as well, just like what his parents taught him. "My oldest daughter is 17, and my son is 12," said Mr Johani with a fond smile. "I try to train them to be helpful too because I think it is better that way, to have the initiative, and not wait until they are asked to help. "I just think that it is a happy thing to be able to help someone else, and I think the person who is getting the help will also be happy as well. 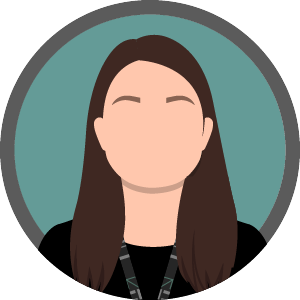 "Since young, my parents have taught me to be helpful, especially to those who need it." Mr Johani also added that a few people have contacted him upon seeing his article on Stomp. "Everyone started calling me [after the article was published], even my ex-employer called me. He asked if I wanted to join his company again," he said with a laugh. "But I just hope that people will try to help one another, life will be better for everyone this way, to not have to see other people struggle. Stomp presented Mr Johani with a Stomp Goody Bag as part of our efforts to recognise everyday heroes and highlight heartwarming deeds. Know someone who deserves a 'Goody Bag' or had a memorable encounter? Share your story with us at stomp@stomp.com.sg or WhatsApp +65 9384 3761. Read about the inspirational stories of other Goody Bag recipients here.